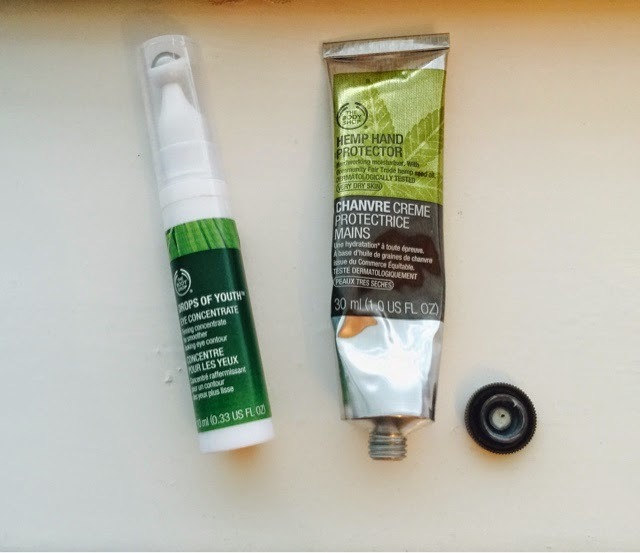 The Body Shop - Youthful Eyes and Hempy Hands?! 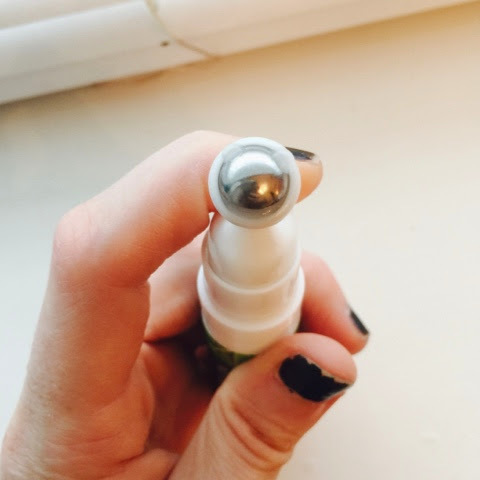 First up is the Drops Of Youth Eye Concentrate. You get 10ml in a tube and this does go a long way. 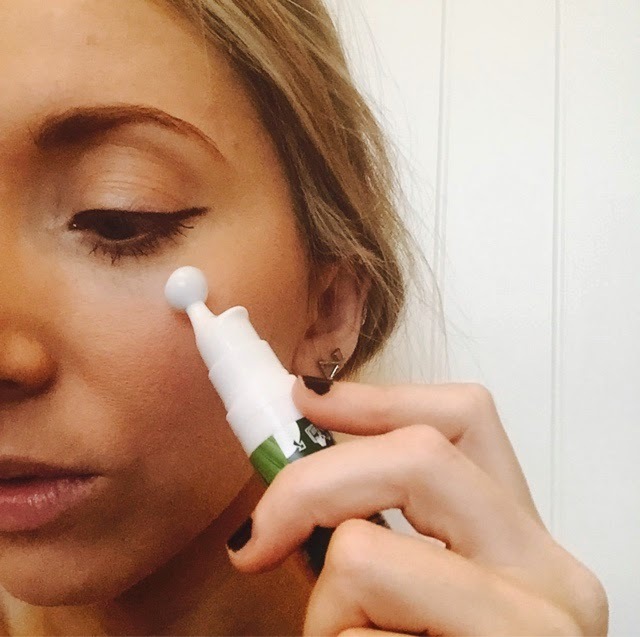 Basically squeeze the pump down until you get the "smiley face" cream shape shown above, then apply straight from the tube using the roll on to apply in a "figure of 8" motion around your eyes. I've been using this religiously since picking it up in November and I do really like it. 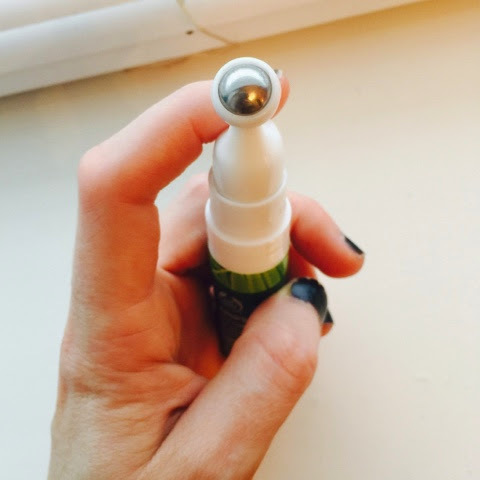 The concentrate has a lovely "cooling" sensation when it's applied so it's great for when you have tired, dry eyes! The main Question!! Does it really make you look youthful?! It's supposed to give you instantly firmer looking skin but, Erm... Kind of hard to tell in the long term? (I should point out I get like this about allll anti-ageing creams. I mean, I'm older and therefore more wrinkly today then yesterday anyway, right? But how wrinkly would I be if I didn't use it?! Anyway, I would definitely buy it again as I do like to have some eye product to apply and I do love how soothing this is when you put it on, but at £18, I would probably look for some kind of deal first. Next up is this Hemp Hand Cream - I think this was around £6 maybe?! I LOVE this! I was looking for a hand cream for winter that I could just throw in my handbag and not worry about being too greasy or florally (Ergh!) and this is perfect. I use it every night before I go to bed and it feels great. The smell is quite hard to describe (quite earthy maybe?!) fab if you're like me and prefer no-nonsense products without a sickly scent! 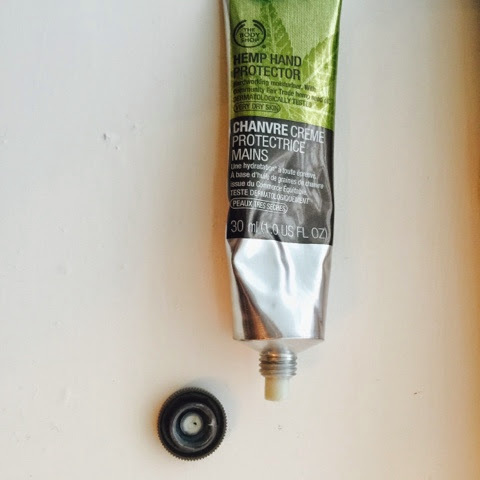 Which are your fave Body Shop Products? 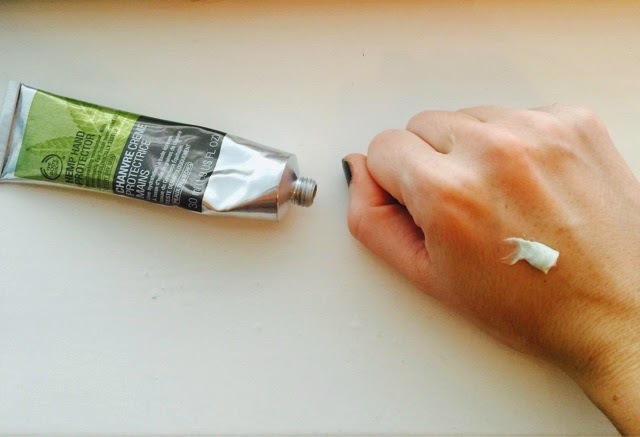 So, When I first started my blog, I wanted it to be about my two main loves - Me and Me. Ok, so obvs Ella is quite well known right now. But she's been my number 1, hot pick since I saw her perform at the Ritz in October and she was UNREAL. My sis and I grabbed some tickets after hearing 1 song of hers on the radio (and because they were cheap) but it was so worth it. Like a mini Beyonce, she owned the stage - I can't wait to see what she has lined up for 2015. Georgie Boy has hit the roof this year and it seems mad that literally less than 12 months ago, I actually MET him whilst he supported Tom Odell on tour. George was on stage, just himself and his guitar whilst every girl in the room swooned over his every word. He such a nice, down to earth guy and I LOVE his style of music. These cheeky chaps look about 12 but have actually been around since 2007!! Their debut album launched in September this year and their latest hit Pacifier was performed at the BBC Music Awards. Tuuuuune!! Who have you got your eye on for 2015? The dress is, despite being quite fitted, actually extremely comfortable and feels LOVELY. The ruching and draping hide a multitude of sins (trust me!) I've teamed this with co-ordinating navy heels for a simple, yet sophisticated look - very Lulus! Unfortunately, I don't have a year round tan... To stop myself from looking ghostly, I used Cocoa Browns' Lovely Legs Tan! What a lifesaver! This bargain tan gives your legs an instant glow and smells lovely. 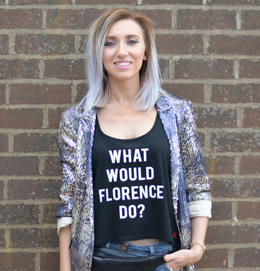 I'd highly recommend this for an impromptu OOTD shoot, or night out! What do you think of the Little Blue Dress for a change to the LBD?! So! 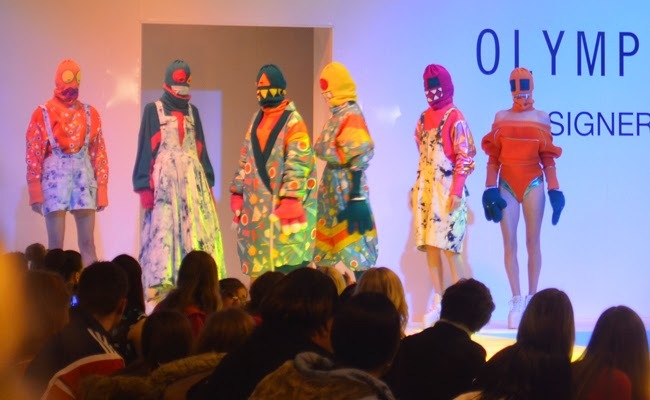 Last weekend, Team ROR and I, got into my little car and headed down to Birmingham for the Clothes Show Live. 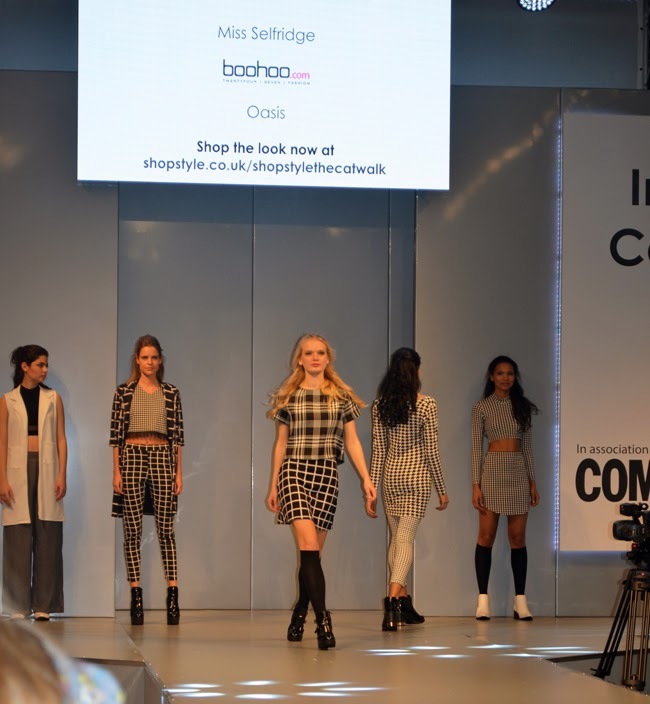 If you've never been, picture this... A HUGE room filled with all your fave brands, fashion shows, amazing competitions / bargains AND THEN to top it all, some of your fave celebs! Ideal, right? 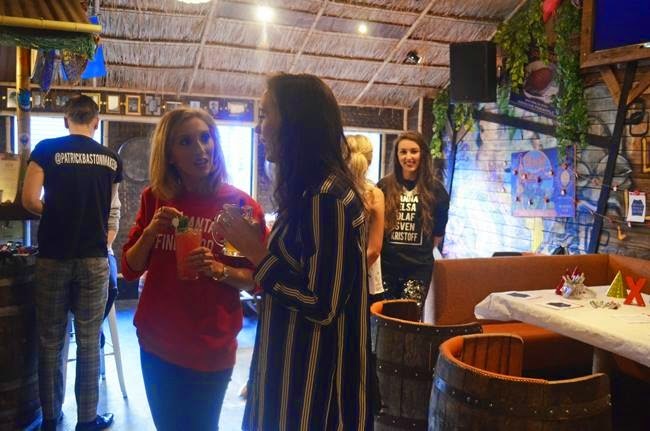 Literally, at one point we were being given a demo on a new "all singing, all dancing, exfoliating make up sponge", and then suddenly Millie from Made in Chelsea was walking past us - mere inches away. Ah-mazing. And yes, she is as devastatingly gorgeous in real life! So, what to wear to such a fashionably fashionable event?! Well, I decided to go for comfort in my over the knee River Island boots and skinny jeans, teamed with a very appropriate "Trust Me I'm A Blogger" tee from Rock On Ruby! My faux fur stole is from Dorothy Perkins and was a treat gifted to us in our goody bags from the Fashion Chick event. I have literally not stopped wearing this since, I received and it is so snuggly and warm - highly recommended! 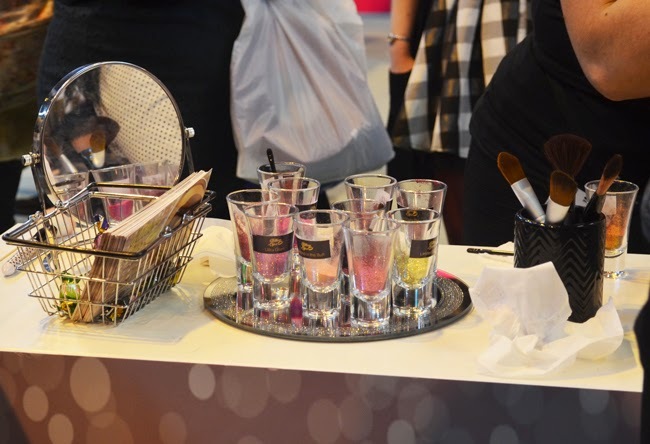 There were so many cool fashion and beauty bits on show, but the highlight was the Glitter Lips that were being demo-ed. The idea is to give your lips a totally glitter finish that stays put for hours - totally eye catching! 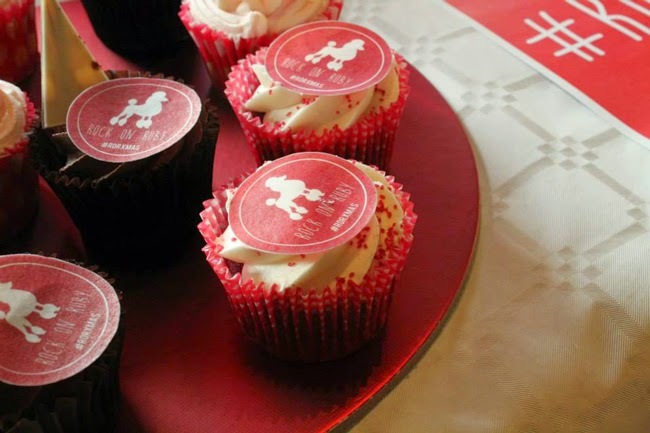 I bought a red version from Ciate, but other companies were doing a range of colours. I'll be reviewing this over the holidays, so stay tuned! Gorgeous vintage pieces on display - I actually bumped into mega blogger Amy Valentine around here who was super lovely and stopped for a chat! 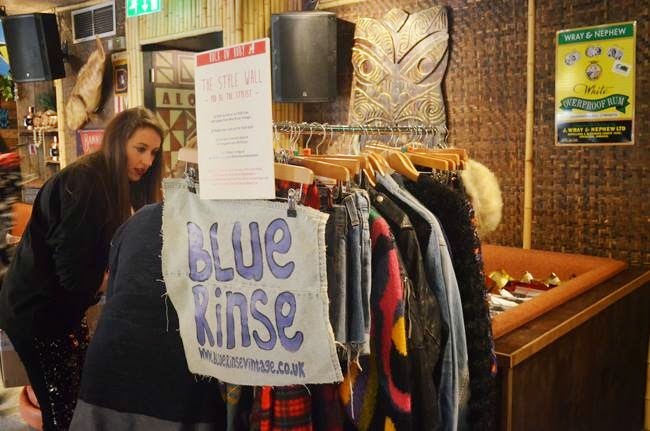 After browsing the stalls, we got caught up watching a Fashion Show featuring party looks from some of our fave shops... 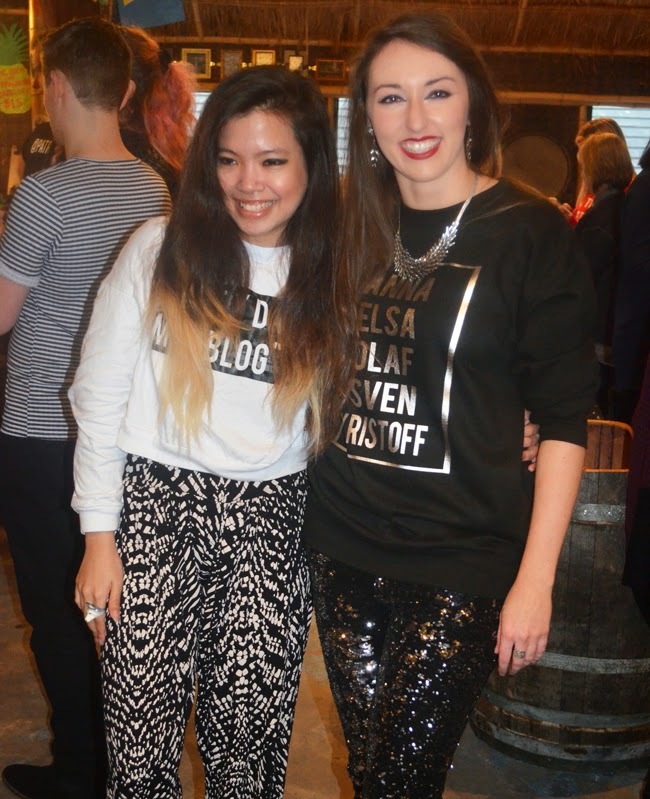 Although, I love the monochrome styling, my fave piece has to be the metallic skirt above! Random photo of the day!! 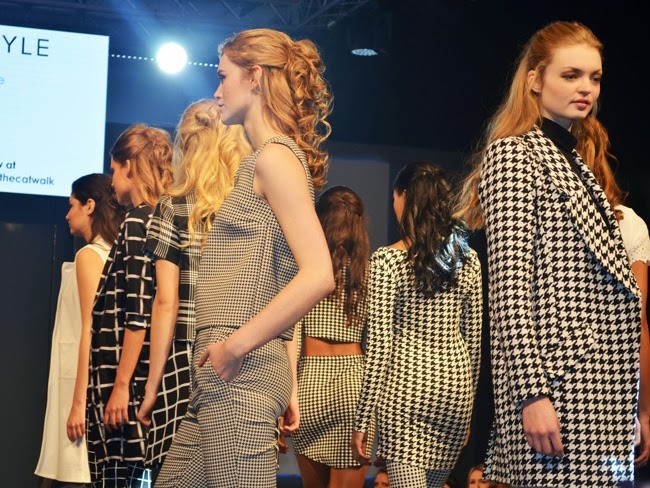 How awesome are these pieces from University designer, Charlotte Armistead from Birmingham Uni? 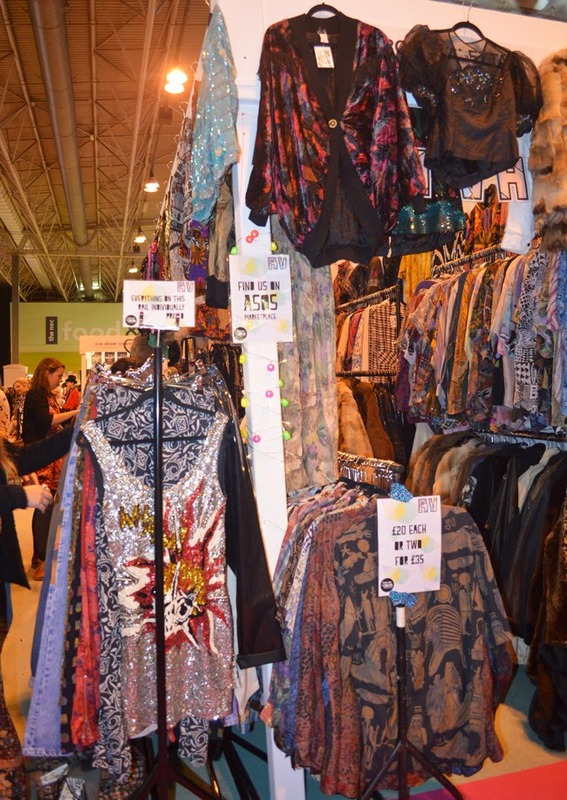 Have you been to the Clothes Show before? What did you think?! 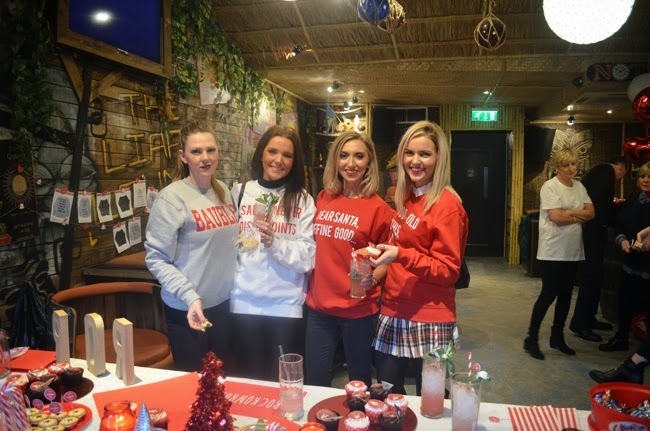 So, I've been to a few amazing Blogger events in the past few weeks, with FashionChick, Fragrance Direct and South Beach Swim… but last weekend we decided to throw our own with Rock On Ruby! EEK! 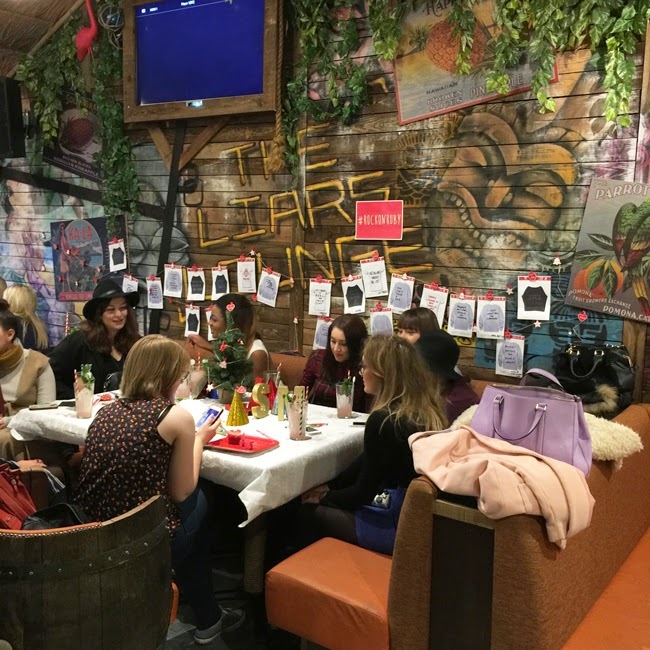 It's always great fun to go to an event, mingle with other bloggers and see what a brand has to offer; but it's quite different when you're hosting your own! 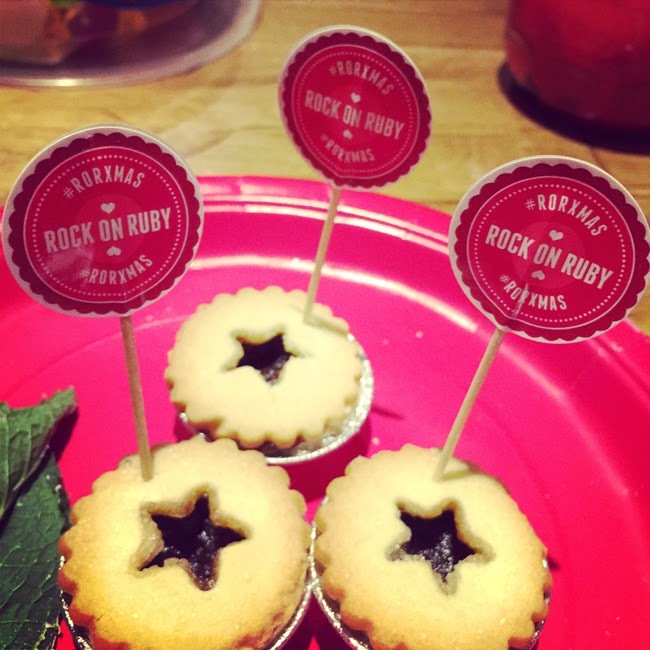 We decided to throw our Rockin' Christmas Party at The Liars Lounge in Cane and Grain, based in Manchester's super cool Northern Quarter. 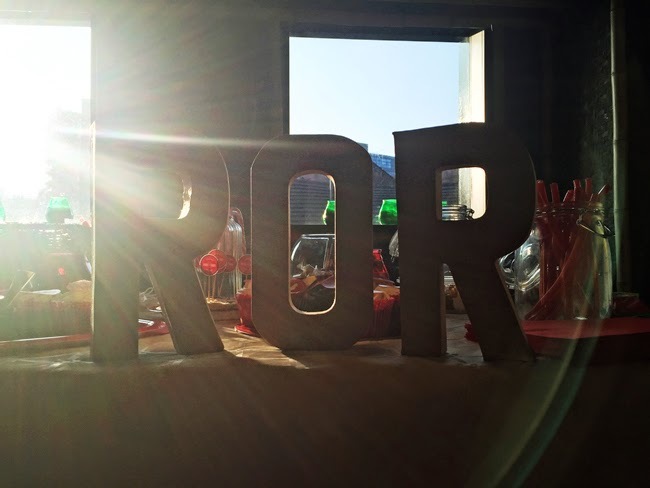 The theme was a Tiki Christmas with our own ROR twist. The cocktails were GORGEOUS! 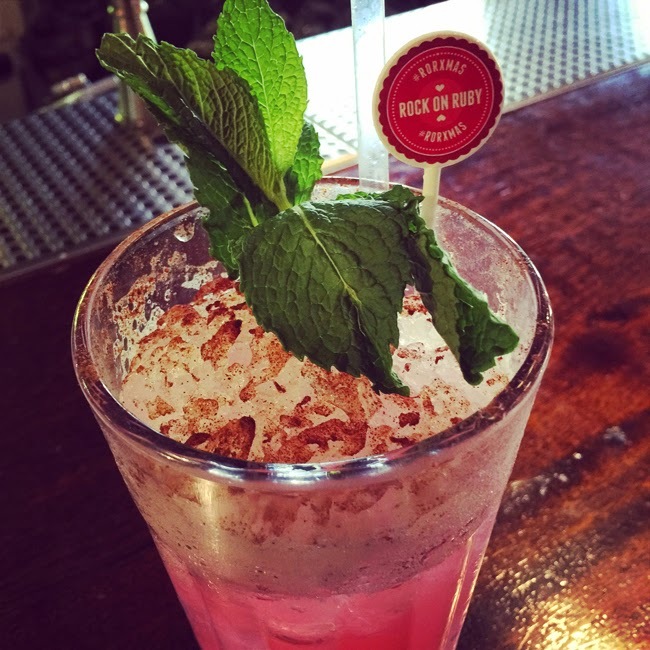 Cane and Grain made a new recipe especially for our event with Gingerbread syrup, vodka and cinnamon. It was truly Christmas in a glass! 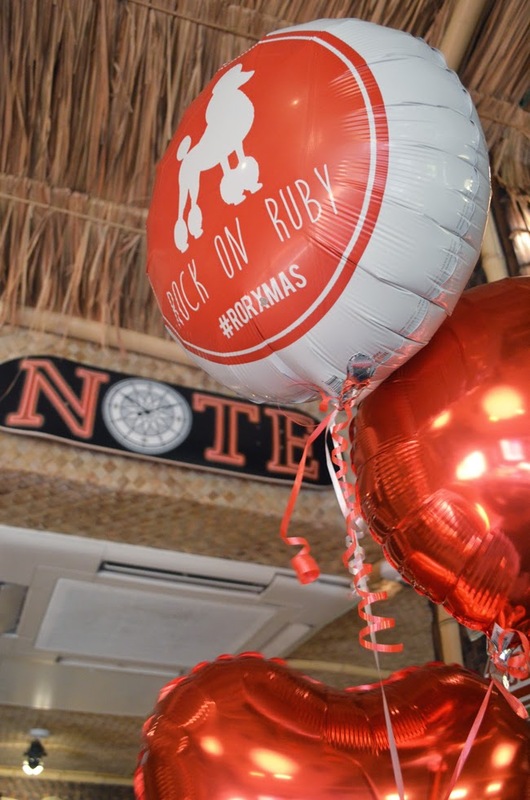 And can I point out our Rock On Ruby balloon!? I'm in LOVE with this! It arrived in a big box on the day and was a surprise from Lucy (below) for the event - how cute?? Gail from The Equinox Fashion with Lucy! 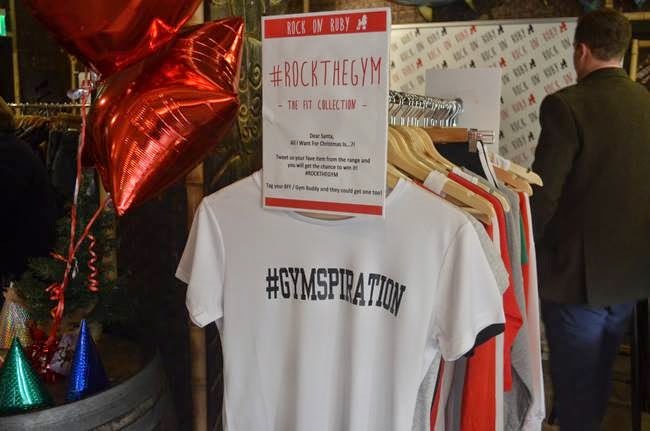 Even though our bloggers were surrounded by Mince Pies and treats, we thought coming up to Christmas would be a great time to launch our new #ROCKTHEGYM range! Featuring motivational hashtags and quirky slogans, we wanted to come up with a fun range that would encourage girls to get to the gym in the New Year - but to look good doing it! "Good things come to those who sweat…"
How cool is this make up look on Eliza? 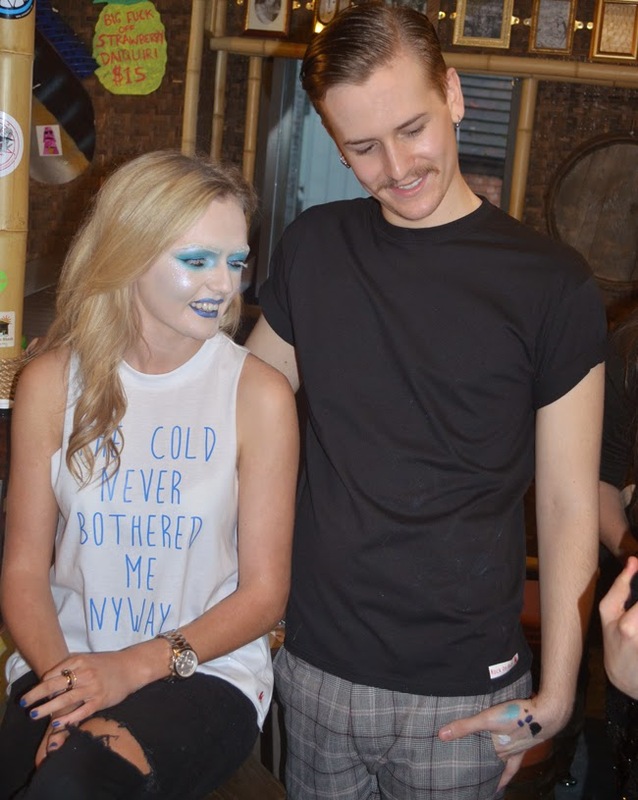 As we are obsessed with Frozen and "Let It Go" we asked Patrick to come up with a showstopping "Elsa inspired" look that the girls could watch being created. So cool! We first found Patrick doing a Halloween Look for the Illamasqua Beauty School Drop in Selfridges and knew he'd come up with something awesome on the day! Finally, the Goody Bags! How amazing is this?! We worked with some FAB brands to create the perfect party bag for the Bloggers in the run up to the Party Season. Each bag included a Hashtag Tee from Rock On Ruby, Lovely Legs spray and Mitt from Coco Brown Tan (highly recommended!!) 20% off Elf Cosmetics, Detox Tea from Tiny Tea, Glitter Shakers from Stargazer, a new hair product from Lee Staffords new Ubunto Oils hair range (I'll be reviwing this for the blog!) and finally, a gorgeous Fashion print and pencil from Dottie Rocks. 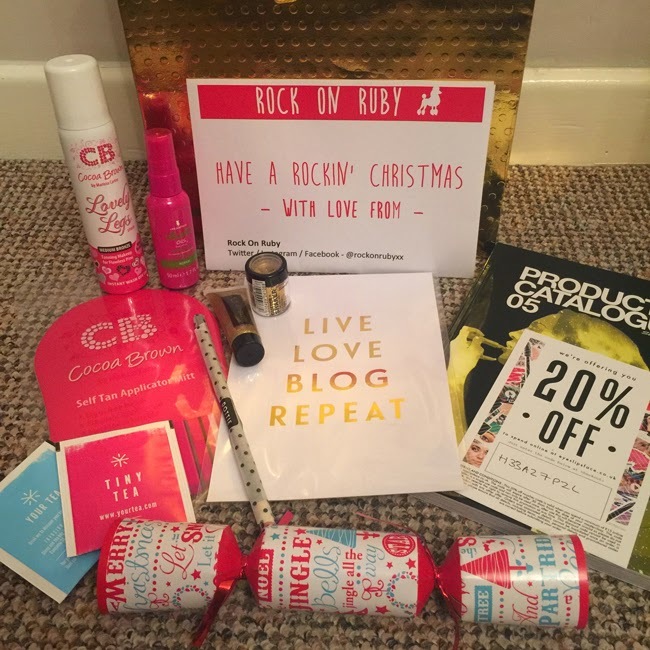 Her items are gorgeous for and blogger, I would definitely recommend checking this out! 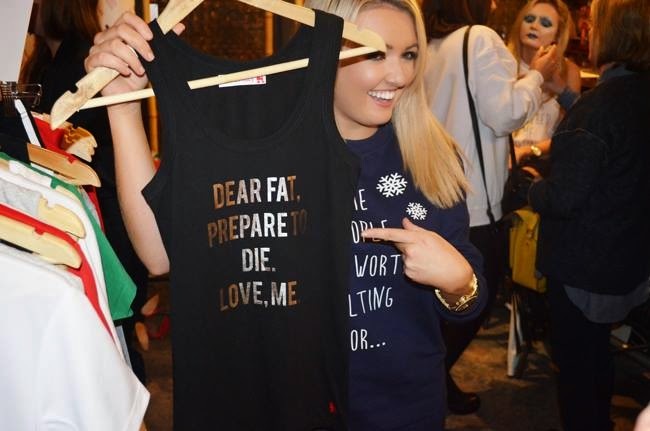 This jumper, epitomises everything a traditional Christmas jumper should be. 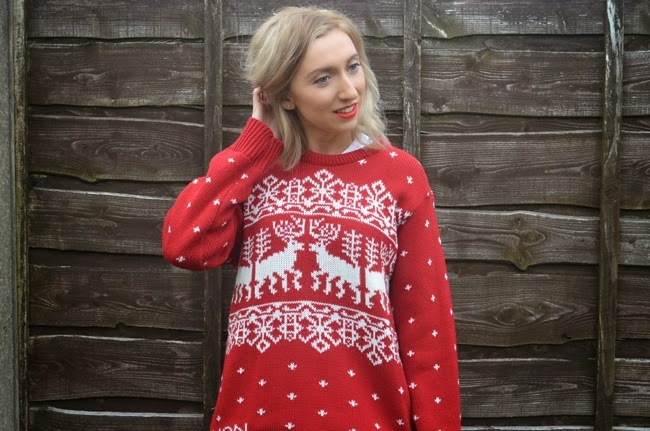 A chunky knit, a bright colour and of course a reindeer or two! This could easily be worn to the pub on Christmas eve with a pair of heels like these from Primark! 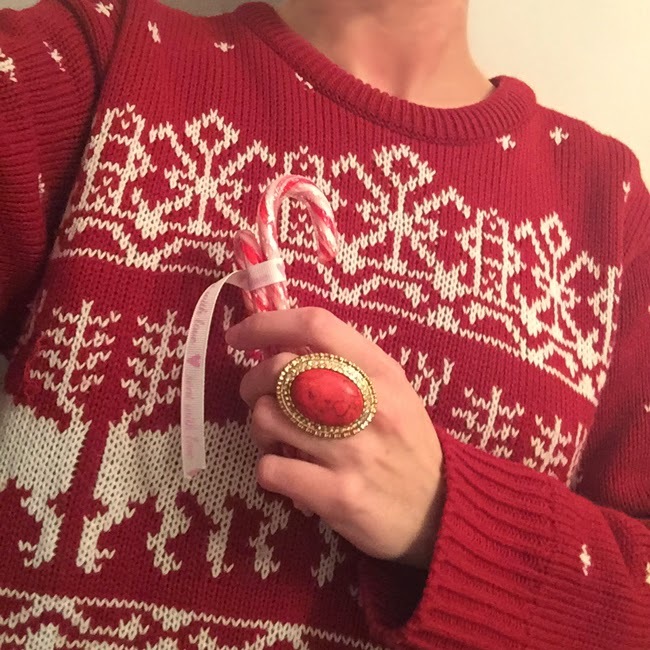 The perfect accessory for any Christmas jumper is this large, red stone ring* from Bella Cosa Boutique. 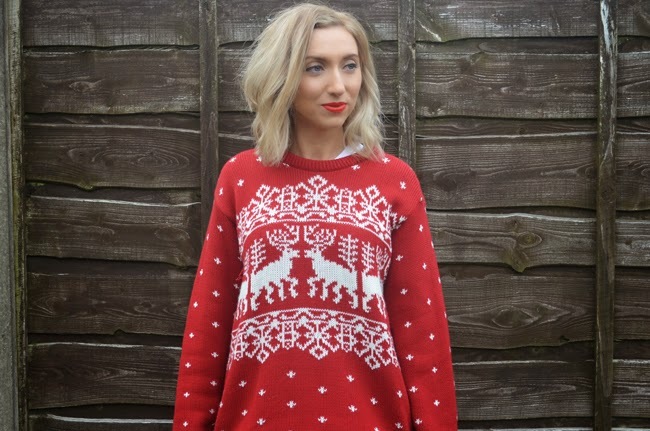 When your jumper has quite a bold, festive design, it can be hard to find accessories to match. This ring is the perfect finishing touch for your Christmas OOTD - and at only £4.50, it's the perfect stocking filler too! 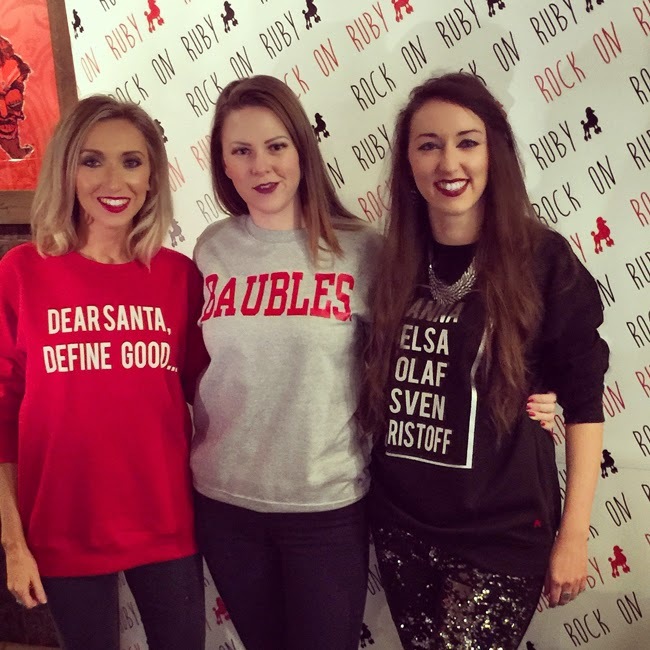 Have you started wearing your Christmas Jumpers yet? After Dark - Fashion Event of THE Year!